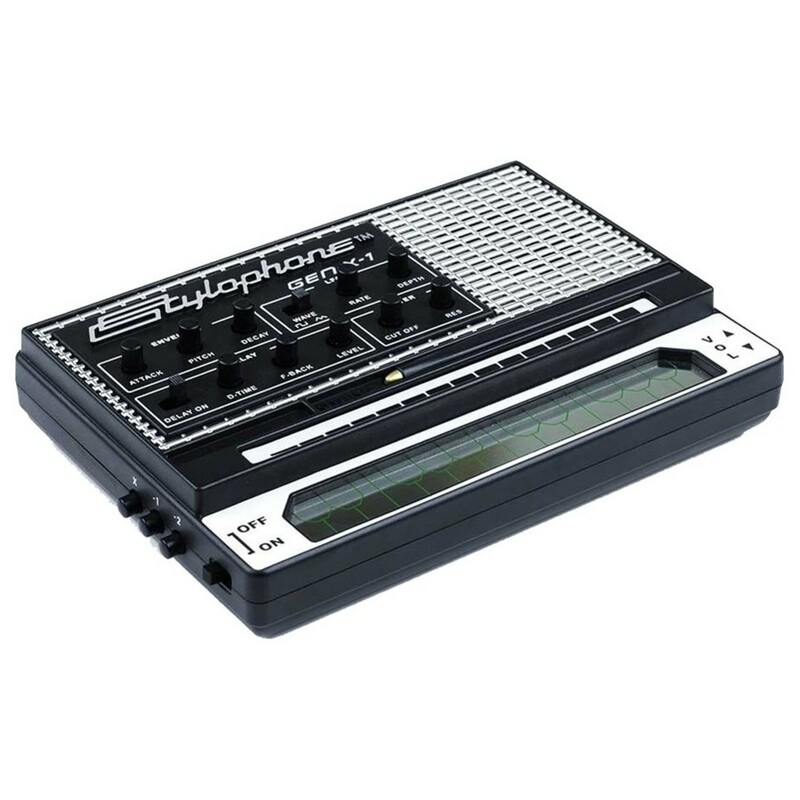 The Stylophone - reborn. 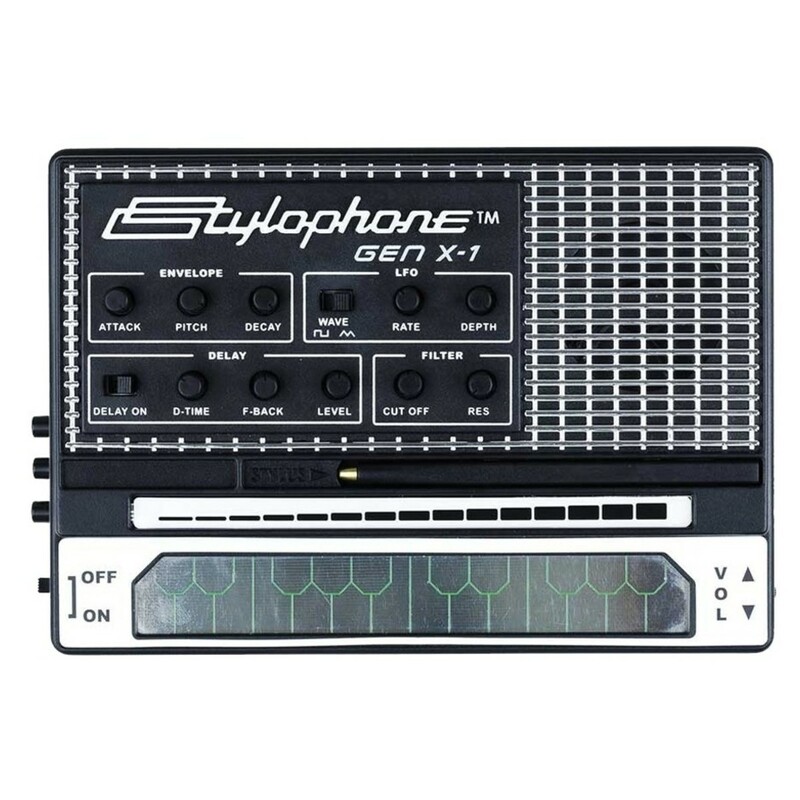 The Stylophone Gen X-1 is Dubreq's latest portable analogue synthesizer. Ready to slot right into your synthesizer set up. Beats, bass, and melody. Despite its small stature, the Gen X-1 is a great synthesizer. 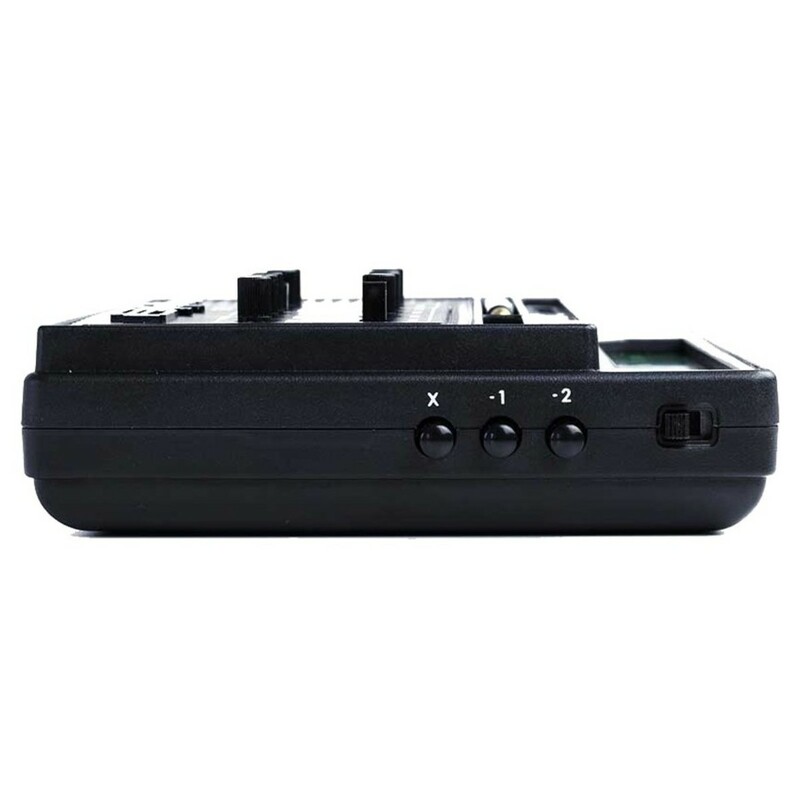 The Gen X-1 features all the tools you need to shape your own brilliant sounds. Just like the original, the Gen X-1 uses a nickle-plate and brass-tipped pen to complete a circuit that unlocks a world of sound. The classic design still remains but now with envelopes, filters, delays, and more. 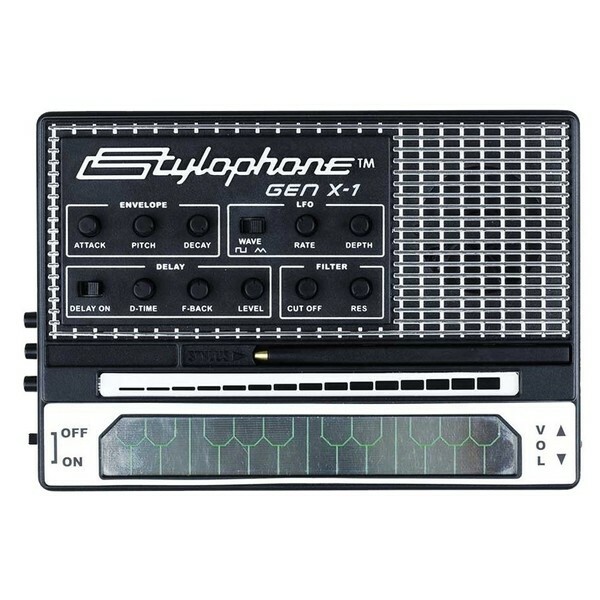 It brings the Stylophone into the future and makes it a malleable synthesizer with a ton of uses. The incredible synthesis capabilities are complemented by the retro grille style of the original. Stylophone meets sound design. The Gen X-1 is similar to the original in aesthetic and design but features a much wider array of sound design tools for you to delve into. 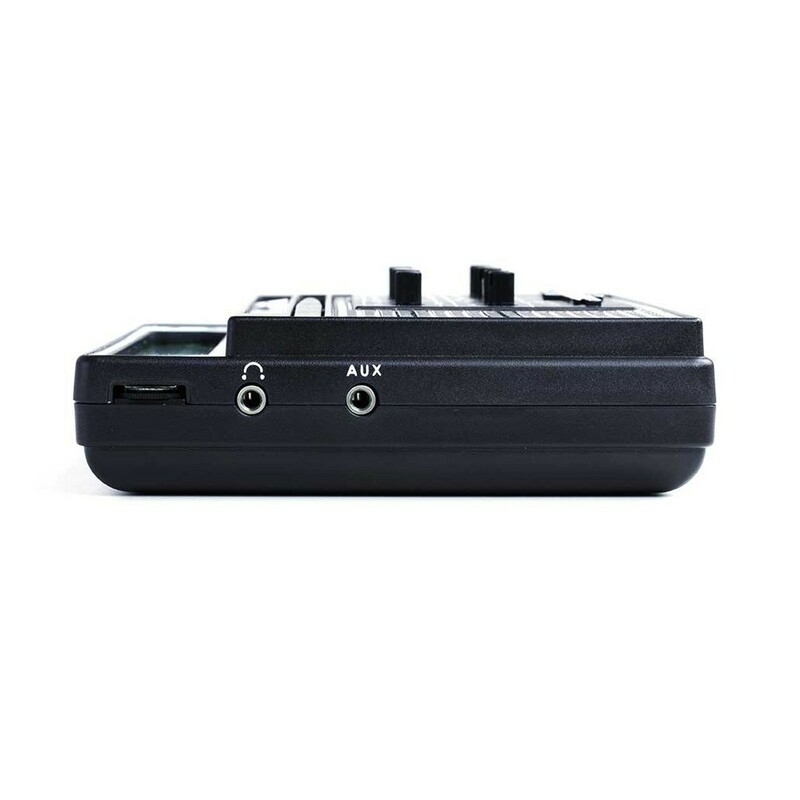 It still features the nickle-plate keyboard and is still operated with a stylus but this time you can do much more than just add vibrato. There is now a multitude of sound design possibilities meaning you can dive much deeper into the classic sound of the stylophone. The VCO now comes with a PMW option and also a switchable sub-oscillator. As well as this you also provided with filters, envelopes, an LFO, and a delay effect. The Gen X-1 provides a good set of tools to shape your sound. 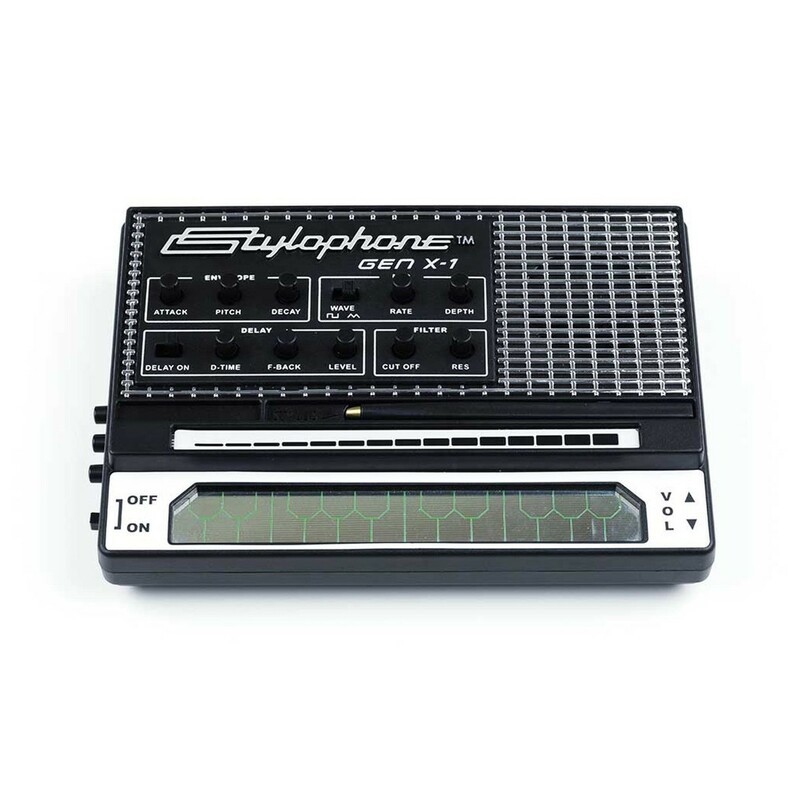 Perfect for beginners and veterans alike, there is something for everyone with the Stylophone Gen X-1.